Delivered within 3-14 business days! Our 130 Le Chateau faux tin tiles will make any man's or woman's home feel like their very own castle. But these tiles are not just perfect for homes. They would look equally lovely in a fancy restaurant, a historical museum, or even an upscale real estate sales office. You can choose from several finishes and materials, including sophisticated all- black faux tin tile and the golden antique copper finish. No matter which finish you choose, the refined swirls and stylized fleurs de lis, a symbol of royalty for generations, surrounding a delicately engraved center medallion will add an air of richness and beauty to any room. 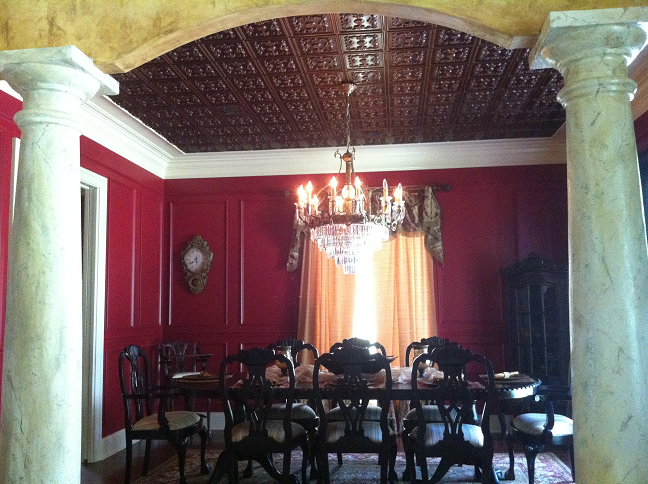 Tile size 23 3/4" x 23 3/4"
The image below shows 130 faux tin tiles installed over existing drop ceiling. 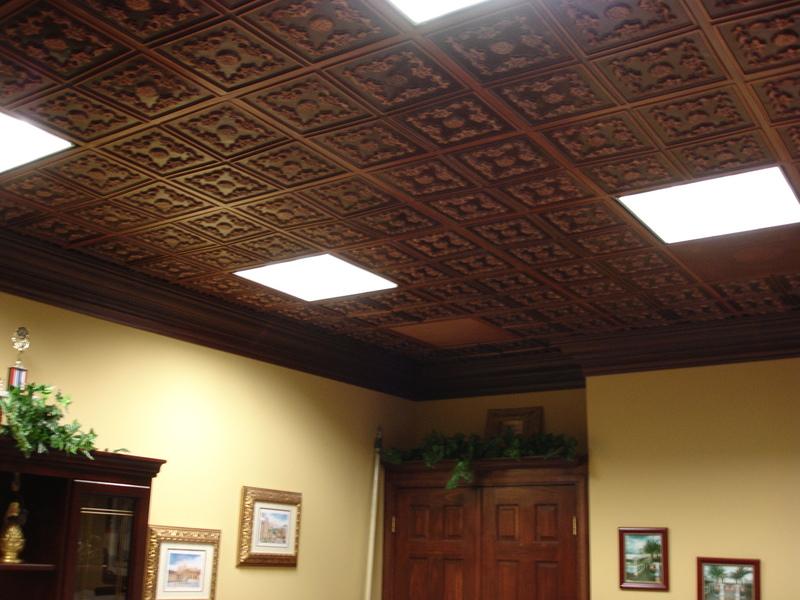 See how we decorated this drop ceiling. Made to order in India. Returns are not allowed. Consider ordering samples first to check quality and finish. View stock items for faster delivery at a discounted price and also the ability to return them within 30 days. Click the button below to add the Le Chateau - Faux Tin Ceiling Tile - Glue up - 24"x24" - #130 to your wish list.